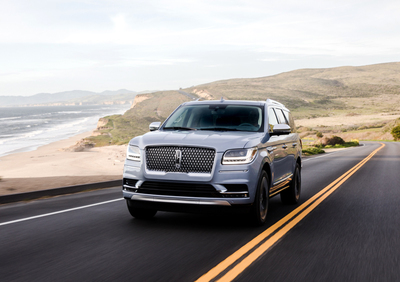 DEARBORN, MI - July 27, 2018: The 2018 Lincoln Navigator, the sleek full-size luxury SUV that auto dealers can barely keep on their lots, has now officially been ranked by customers as the most appealing vehicle in the entire industry, marking the first time an American vehicle has ever dominated the J.D. Power Automotive Performance, Execution and Layout (APEAL) study. In fact, based on customer scores that lauded everything from Navigator’s technology to seat comfort, its score is the highest in this generation of the study (2013-2018) besting other luxury brand vehicle nameplates. The study measures owners’ emotional attachment and level of excitement across 77 attributes that range from the power customers feel when they step on the gas to the sense of comfort and luxury they experience when climbing into the driver’s seat. These attributes are combined into an overall APEAL index score measured on a 1,000-point scale. The Lincoln Navigator excels in many of these areas, with features like adjustable drive modes that allow drivers to adjust to changing weather or road conditions with the turn of a dial, and optional Perfect Position seats that adjust up to 30 ways to offer the ultimate in comfortable, personalized seating, plus heating, cooling and massage functions. Clients also are choosing to outfit their Navigators with purposeful technologies like the head-up display, active park assist and driver assistance options. In fact, more than 80 percent of vehicles are sold with the available Technology Package. The Navigator has been riding a crest of popularity, luring clients from its luxury competitors. 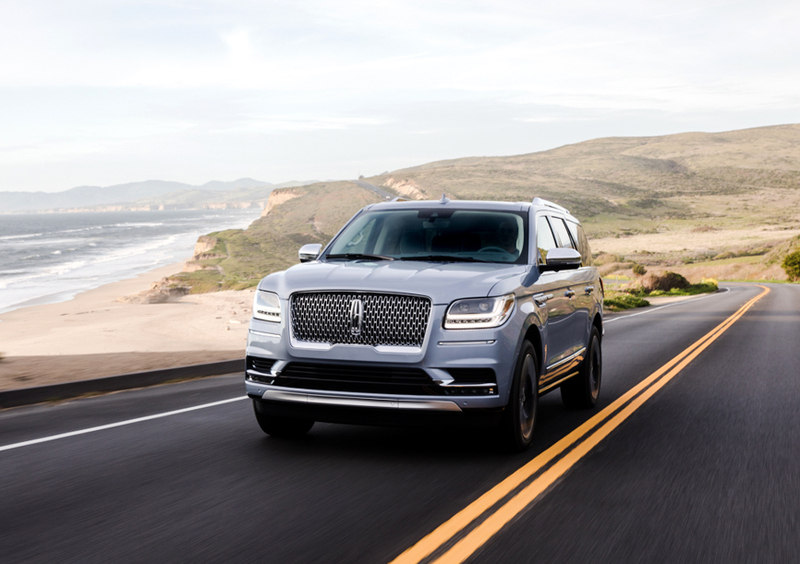 Lincoln sales statistics show more than 50 percent of Navigator sales are conquest, with buyers coming from Mercedes-Benz, Cadillac, Land Rover and other luxury brands. Navigator clients also are skewing younger than traditional Lincoln buyers, with approximately 50 percent between the ages of 34 and 54. The APEAL study showed that in its launch year, the 2018 Navigator improved by 71 points, becoming the highest-scoring vehicle in the entire industry, the first domestic vehicle to achieve that feat. The Lincoln Navigator’s score of 915 is the highest recorded in this generation of the study. Specifically noted as Navigator’s top strengths compared to the Large Premium SUV average were its voice recognition system, fuel economy, the comfort of its third-row seats and its front-end styling. The Continental, Lincoln’s flagship sedan, maintained its standing as the leader in the Midsize Premium Car segment. In the annual 2018 J.D. Power U.S. Initial Quality Study results announced earlier this year, both the Lincoln Continental and the Lincoln MKC ranking highest in their respective segments. Overall, Lincoln improved 12 points and is now ranked 4th among premium brands, up from 6th last year. In addition to Lincoln Continental, the Ford F-150, Ford Mustang and Ford Expedition all placed at the top of their respective segments. Expedition scored highest among non-premium models in the industry-wide study. Plus, Ford F-Series Super Duty ranked among the top three in the large heavy-duty pickup segment.